With the annual March for Life in Washington, D.C., nearing, many celebrations and other events in the Archdiocese of New York and down in D.C. will promote life in all of its stages and commemorate the tragic 1973 Roe v. Wade U.S. Supreme Court decision that legalized abortion across the United States. Due to inaugural events in our nation’s capital, the march will be held on Friday, Jan. 27. A listing of buses traveling from the archdiocese is posted on CNY’s website, cny.org. “Entering Canaan” Day of Prayer and Healing for Men, on Saturday, Jan. 21. The day addresses issues unique to men suffering because of a past abortion. Sponsored by Lumina and the Franciscan Friars of the Renewal. Information and confidential reservations: Lumina at (877) 586-4621 or email lumina@postabortionhelp.org. St. Mary-St. Joseph, Poughkeepsie, on Friday, Jan. 27, 8 a.m. A Mass will be offered for an end to abortion, followed by a peaceful prayer vigil at Poughkeepsie Planned Parenthood. The Blessed Sacrament will be exposed for those electing to stay in the church. Benediction will take place at the church after the vigil. St. Patrick’s Cathedral on Saturday, Jan. 21, at 1 p.m. A Day for Life, organized by the Sisters of Life, will include prayers, talks and street evangelization. The program features Adoration of the Blessed Sacrament, an opportunity for the sacrament of reconciliation, the Divine Mercy Chaplet and four Holy Hours for Life. Sister Faustina Maria Pia, S.V., will deliver the closing talk and reflection on life. Cardinal Dolan will be the principal celebrant and homilist at a 5:30 a.m. Vigil Mass to conclude the afternoon, which will kick off the U.S. Conference of Catholic Bishops’ Nine Days for Life. St. Patrick’s Cathedral on Sunday, Jan. 22, 10:15 a.m. Annual Respect Life Mass sponsored by the Knights of Columbus. 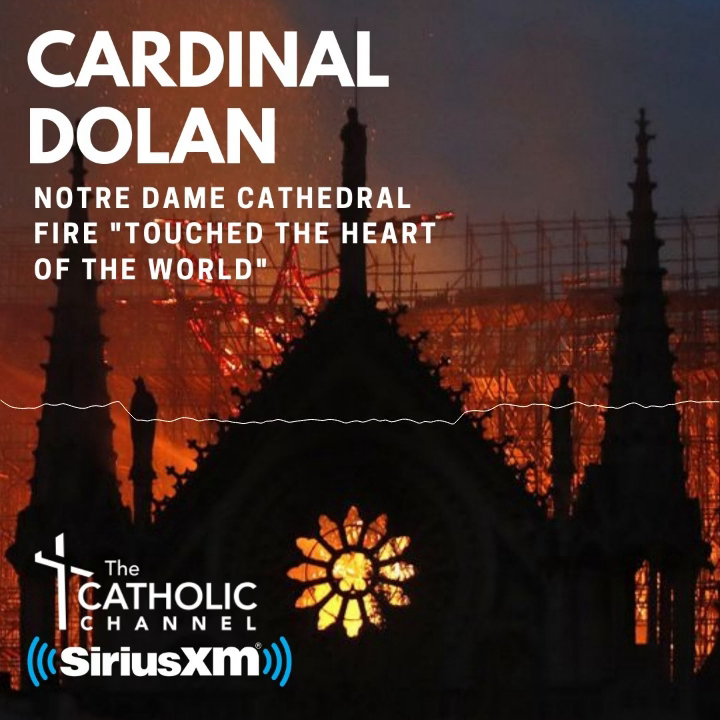 Cardinal Dolan will be the principal celebrant. St. John Nepomucene Church on Monday, Jan. 23, 7 p.m. Orthodox-Catholic Prayer for Unity and Life. His Beatitude Metropolitan Tikhon, primate of the Orthodox Church in America and Sister Virginia Joy of the Sisters of Life will speak and offer prayers for life. Sponsored by St. Vladimir’s Orthodox Theological Seminary, St. John Nepomucene and St. Francis Xavier Cabrini parish, and St. Vincent Ferrer and St. Catherine of Siena parish. Sacred Heart Church, Monroe, on Saturday, Jan. 21, 11 a.m. A Mass of Thanksgiving for the closure of the oldest abortion center in Orange County will be celebrated by Auxiliary Bishop Dominick Lagonegro. A reception will follow. To RSVP for the reception, call Genevieve at (914) 850-3297. St. John the Evangelist, Goshen, on Friday, Jan. 27, 3 p.m. Prayer service in the chapel. Rosary for Life and Divine Mercy Chaplet on Sunday, Jan. 22, 11 a.m. at Planned Parenthood, 25 Perlman Drive, Spring Valley. Sponsored by the Rockland County Catholic Coalition. Information: Eileen at (845) 492-6709. St. Peter’s Church, Monticello, on Sunday, Jan. 22, 3 p.m. Holy Hour for Life. St. Peter’s Church, Monticello, on Monday, Jan. 23, after the 12:15 p.m. Mass. Holy Hour for Life. Rally for Life on Saturday, Jan. 21, 12 noon-1 p.m. at “All Women’s Health and Medical Services” abortion clinic, 222 Mamaroneck Ave., White Plains. An hour of prayer and public witness to remember the millions of unborn lives lost since the tragic Roe v. Wade decision legalizing abortion. Sponsored by Right to Life Coalition of Lower Westchester, Westchester and Putnam Right to Life Committee and People for Life, Hudson Valley Coalition for Life, Northern Westchester and Putnam Center for Life and Advocates of Life. Information: Alan at (914) 232-1168. Immaculate Conception, Tuckahoe, on Saturday, Jan. 21, 1-3 p.m., An Afternoon of Prayerful Remembrance and Intercession. Join with us as we anticipate the observance of the 44th anniversary of Roe v. Wade, the Supreme Court decision legalizing abortion. We will gather to pray and intercede on behalf of our entire nation, seeking forgiveness and healing in God’s merciful love. The afternoon includes a prayer service, adoration and an opportunity for the sacrament of reconciliation. Information: Sister Cora at (914) 961-3643. Immaculate Conception, Tuckahoe, on Monday, Jan. 23, 6-7 p.m., Holy Hour for Life. 400 Michigan Ave., NE, Washington, D.C.
St. Patrick’s Catholic Church, 619 10th St., NW, Washington, D.C., 8 a.m. All New Yorkers are welcome to attend. Musical opening, 11:45 a.m.; rally, noon; march, 1 p.m.